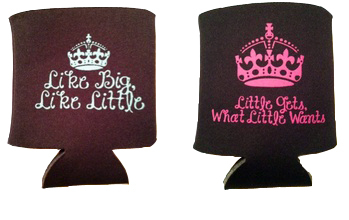 Have you heard of @LittleProblems? Well, you’re in for a treat if you haven’t! 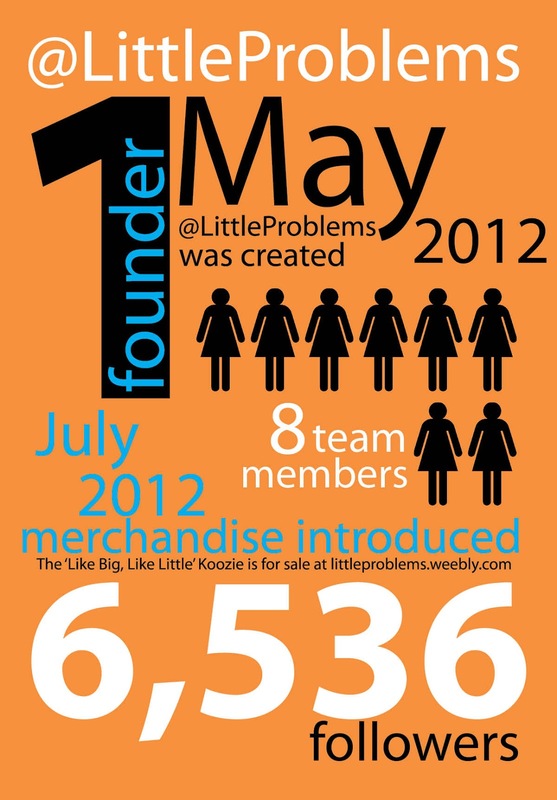 Q: What inspired you to start @LittleProblems? A: I started Little Problems because I couldn’t find an account like it. On my personal Twitter, I try to follow accounts that a relevant to my own interests. I have a great relationship with my Big and hoped to find a Twitter account that was based on things like that so her and I could laugh about them. So when I couldn’t find one, I started one. I never thought anyone would actually follow it or like it, so to see it grow and have over 8,000 people following it is amazing! Q: When & Why did you decide to add merchandise to go along with the twitter? A: Shortly after I started the account in May, people began to ask me if I was going to make merchandise and I had absolutely no intentions on doing so. Honestly, it just sounded like a headache to me. My boyfriend is in the Army and in June we found out that he would be deploying in the fall. My grandbig’s husband had recently deployed and she stressed how important it was for me to stay busy. So I thought maybe I could start selling merchandise and it could keep me busy while he was away. I never started with any intentions of making money, I just want to make time go by as quickly as possible until my boyfriend gets home. Because I was lucky enough to have that opportunity, I think it’s extremely important to pass that good fortune along to someone else which is why we donate to the Wounded Warrior Project. I actually don’t make any money from Little Problems. Q: What’s your best advice for collegiate entrepreneurs? A: My best advice is to be dedicated. If you’re going to start a business of any kind, for profit or not, you need to be dedicated. It’s also important to be willing to accept help. I have an AMAZING group of women that make up the Little Problems team who help me more than they’ll ever know. Another really important thing to remember is that there will be people who aren’t so supportive. You just have to use that negative energy to drive you forward, just so later you can look back at them and tell them they were wrong. Q: Who has been your biggest supporter through this endeavor? A: My biggest supporter since the beginning has been my boyfriend. When I first told him I made the account, he thought it was really cool. When I told him I was thinking about making merchandise, he said it was an amazing idea and that he wanted me to send him Little Problems merchandise while he was deployed so he could rep it. Even now, mid-deployment, every time I talk to him he asks how business is and how the team is doing. He wants me to continue Little Problems even after he gets back. The team is also SUCH a support system. Each member is constantly asking how they can help me more and anything I ask them to do gets done with 150% effort. The Little Problems team has grown into a family and support me, each other, and Little Problems to no end. Without my boyfriend and the team, Little Problems probably wouldn’t exist.